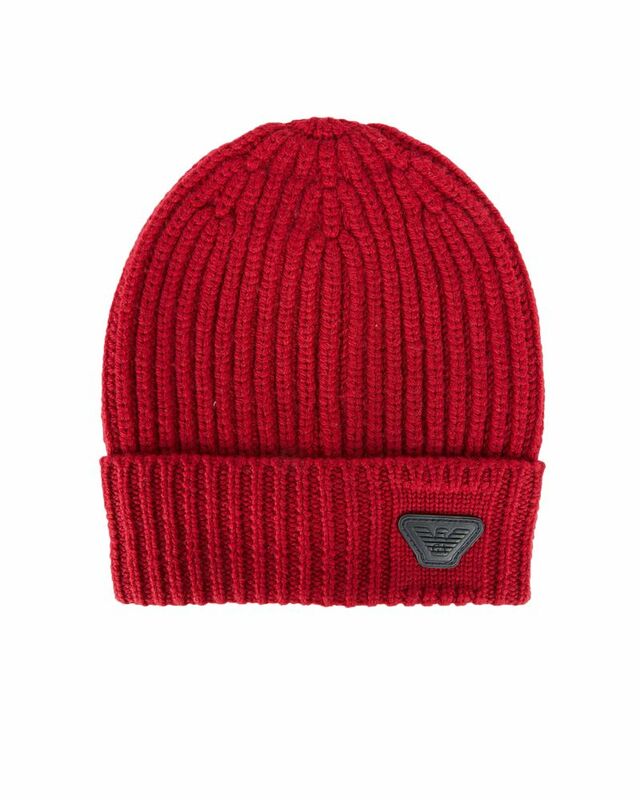 Emporio Armani soft wool red hat with stitched logo detailing. 100% Wool. Imported.